As I keep mentioning, my life has gotten a trifle busy lately. 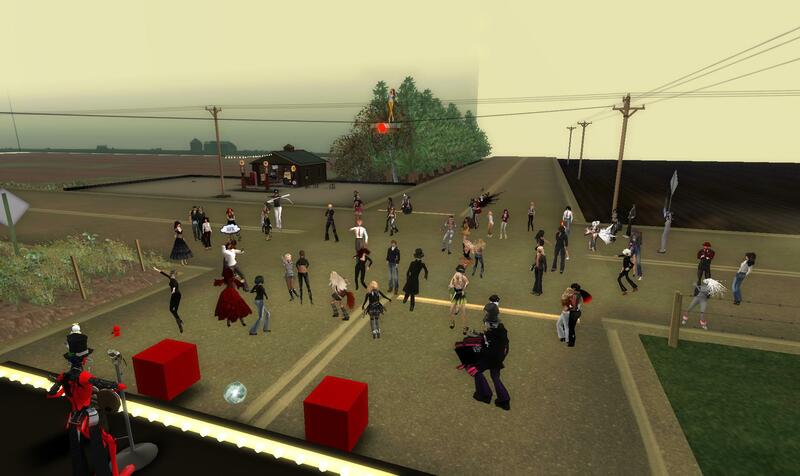 But I knew that no matter what, I would get over to Angel Square for the grand opening of the C2P! I’ve missed way too many parties lately. 😦 I missed Issa’s baby shower, I missed a ball in Victoriana, I missed the Ode butterfly hunt in Shengri La. I spend most of my time down by the ducks – scripting. Well, I do a little shopping also. 🙂 And did some exploring for work. But mostly – I’m living a fairly solitary SL existence. I’m getting bored. I need to break out and party! Tuesday I did just that. 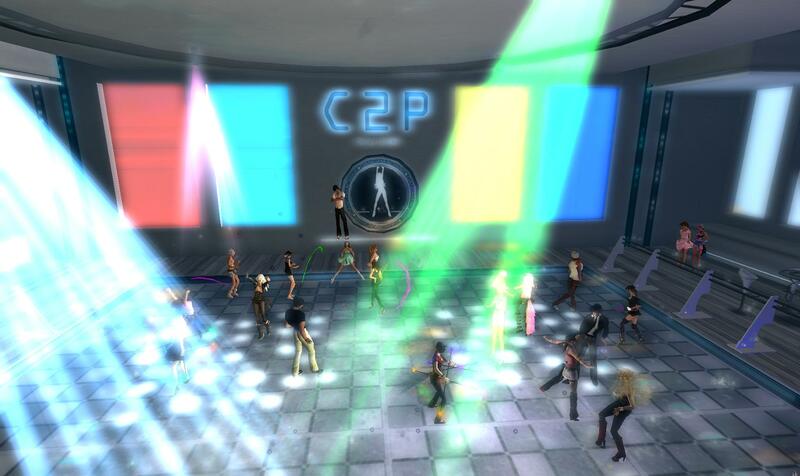 Of course, I totally forgot that was C2P day. 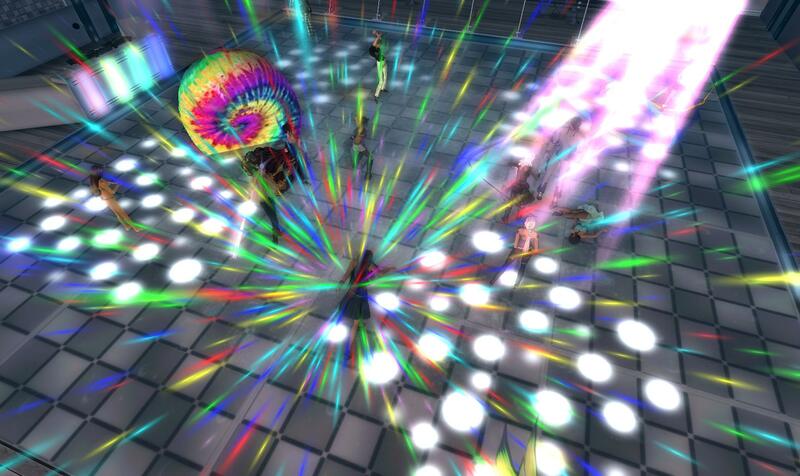 Good thing I logged in while the party was going full blast and caught a taxi to Angel Square. I didn’t have much time to stay but I managed to dance a bit, sent the tp taxi to Shenlei to come on over and party too. It was a good thing that I could reach her because I couldn’t find any of my party props. Obviously I “NEEDED” glow sticks and lights and things like that. 🙂 Shen of course has a folder-full to share. I chatted with friends there and took a bunch of pics. All of the pics are up on Flickr. There are some decent ones in the bunch which was pure good fortune. I was juggling a million emails and IMs (work and play) and RL was whining from the floor that it was dinner time for hungry pets. Be careful what you wish for. You may get it. I have more SL work to do than I could have imagined a mere 2 months ago. I have 3 projects going at work. I am scripting for an SL client. I just offered to write a script for a second friend. I can’t build worth a darn, so I have sub-contracted out my building needs to other friends. LOL. 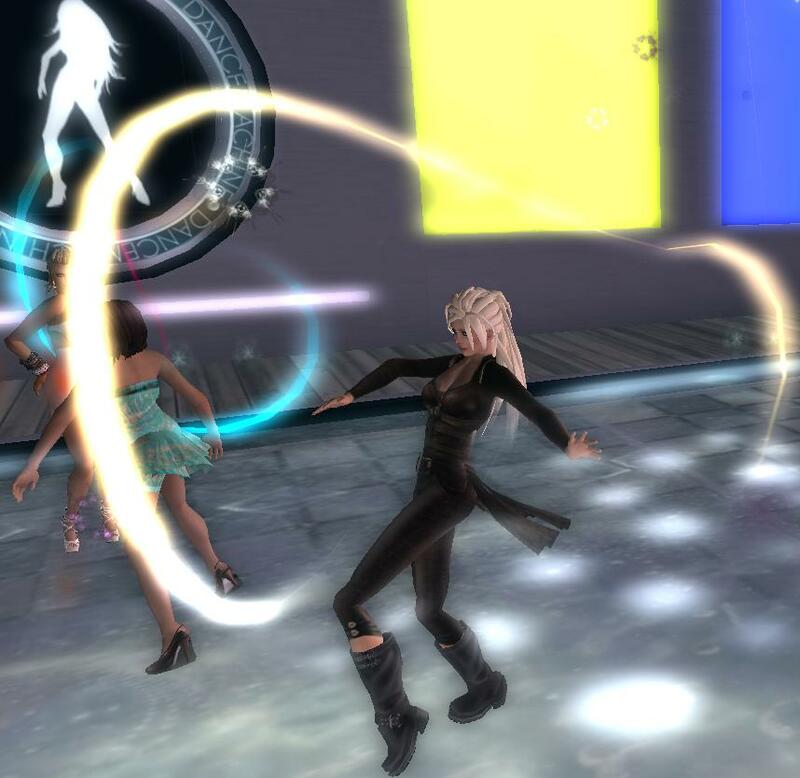 I thought I was in SL to party and listen to music and to shop!!!!! What happened to my social life??? 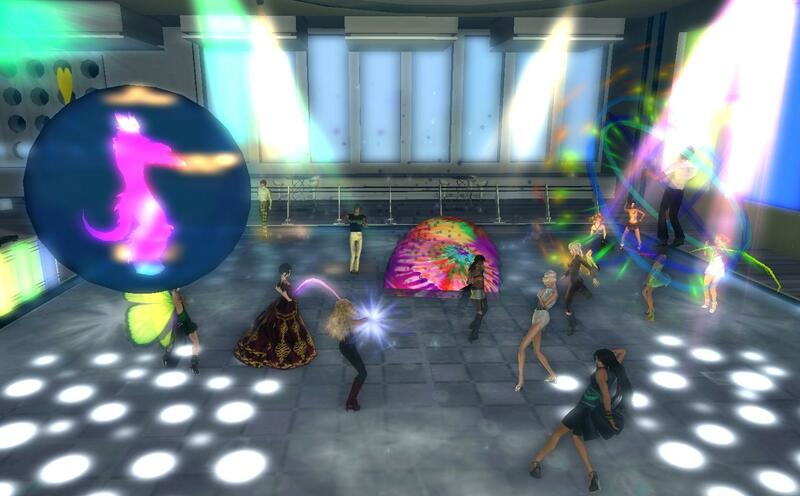 I actually HAD a social life yesterday – I made it to the grand opening of the C2P – the new Crown and Pearl Nightclub. I took a bunch of photos too. But I’ve not uploaded them to Flickr yet or to here. I will. Really. 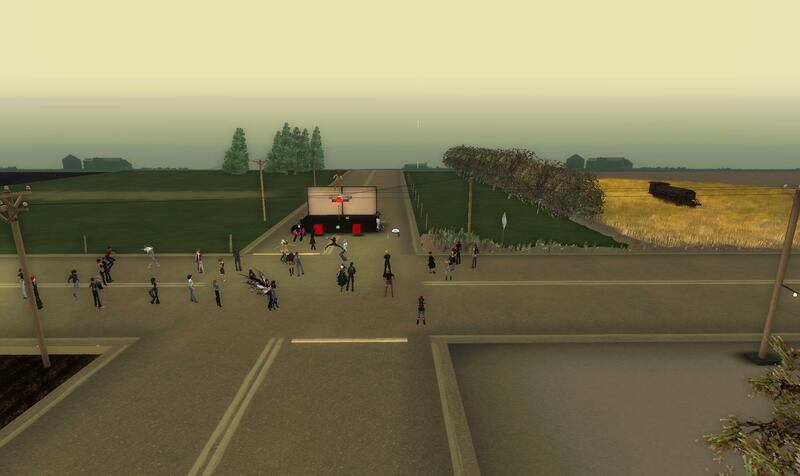 I was touring around SL trying to find a place suitable for one of my projects. While I was wandering about, I found some motorcycles. Oh wow. I DO like motorcycles. Like Dark’s planes, I like motorcycles. So I snuck on the ones that would let me. Boy, some vehicles are very persnickety. “You are not the owner, Ahuva Heliosense.” Pfffft. So? I can’t SIT there??? Sheesh. The other day a friend and coworker gave me the link to his personal website. It contains photos, pictures, artwork, personal essays and opinions. It is extremely frank and honest. Although I didn’t notice any identifying data when I was browsing, it does contain his first name and names of family members and true details, so I suppose someone could tie it back to the proper individual. It does not appear to have been updated in awhile, but it’s still there. Nicely done, by the way. Many of my friends use their blogs to post deeply personal writings, about what they do and what they feel and what they think. I read such blogs with a mix of admiration and horror. I do not consider myself an especially private person. I tell many people many things about my life and my feelings. While I’m not sure that there is any one person who knows everything about me (possibly my husband) there is no one thing about me that is not known by somebody else. I am the person you meet – whether here in my blog or in RL. BUT. That person is rarely the entire me. That’s true for us all – we are someone slightly different in every interaction. But I started this blog as part of my job. My audience was my coworkers and perhaps RL family and friends. I never anticipated what SL would be to me nor that this blog would evolve as it has. So when I write here, I am always aware of who may be reading. And I try to never post anything that will backfire on me if it ends up in my work portfolio. I try to never post anything that will harm my family, emotionally or in other ways. I try to never post anything that I will regret should I run for public office (um – that’s a joke, people). In other words – there is a lot that never gets posted here. I have considered creating an alternate blog. An alternate persona. A place to vent and scream and tell all my hidden thoughts and feelings. But I don’t believe that there is anonymity in the internet. Ultimately someday somewhere somehow everything can be linked back to me. So that coworker/friend wrote: “…asked me why I keep this blog around. Why? For my children, of course.” He went on to say that he figured someday his children or their children or their children’s children (etc.) would Google (or the then equivalent) and find him and know who he was. Okay. I can understand that. But I don’t agree. That doesn’t work for me personally. My son does NOT really need to know who I am that intimately. He DOES need to know that I am human. That I have faced adversity and sometimes I have triumphed and sometimes I have stumbled. He does need to know that I have feelings and thoughts and passion and dreams. He doesn’t need to know the details, he doesn’t need to know my mistakes, he doesn’t need to see me bleeding on my internal crosses or to know when and how I’ve sunk to my ugliest self. He needs to know that such things happen and have happened and that life goes on. But for me – I think it is sufficient for me to say to him – “Yes, bad things have happened. Here is how it went.” And I can tell him without necessarily baring the full spectrum of emotion and detail. My life is not meant to be an open book to him, or to anyone. Do I regret this decision, to NOT post my emotions? Oh yes. I certainly do. Many times. Many times in one day even. Maybe I’m a coward. But I simply imagine being faced with what I wrote on some other day in some other mood. And the impulse dies. For those times when the need is overwhelming and there is no friend to hear me, I write haiku. I’ve said before how I love the bare 5-7-5 meter. How I must pare my thoughts down. Forced to cut to only the basic point. You know that I love words and run on and on. Haiku forces a discipline on me that posting does not. Am I a coward? Maybe. Maybe not. Maybe I am simply the wrong generation. My friend is my generation, but he hit the web long before I did. So I’m not talking “atomic age generation” necessarily. I am talking “virtual age generation” – that is, the time you plugged in to the virtual life. For my son and his friends – they have always been plugged in. They don’t know life without it. I barely remember life without it, it is so much a part of me now. But I remember enough to know that I don’t want my entire soul bared to the light. I have seen several articles and stories about how people twitter something, email something, post something, etc. and that “something” comes back to bite them. They are fired, they are sued, they are arrested, they are divorced, they are stalked. And yet not a day goes by without millions of people continuing to bare their souls on the web. The number grows daily. Is it generational? Is it a cultural change brought about by something else entirely? Are we that alone in the world? That egotistical? I am not saying that posting our inner selves is a “bad” thing. I really don’t know that it is. I suspect that it will come to be the norm, actually. That the reluctance that I feel will be an aberration. But I am not there yet. So much I need said. Can you hear my silent screams? Hands stilled in my lap. I attended / co-hosted a baby shower in world this morning for Isabelle Urqhart. 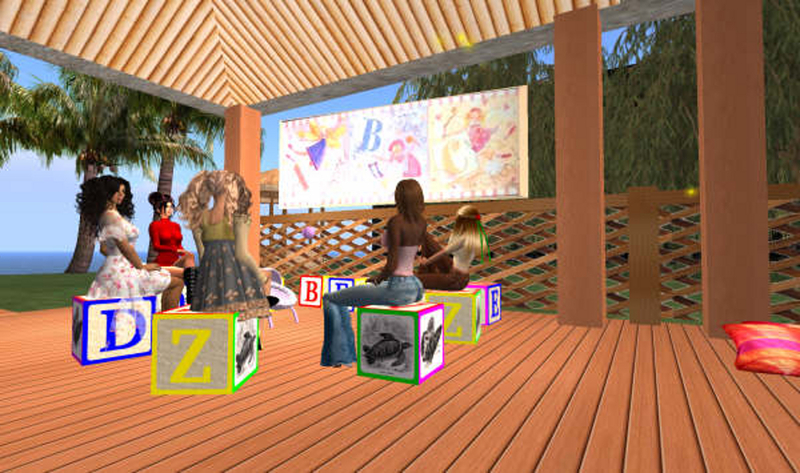 This was my first baby shower and a pleasant deviation from the normal routines of SL. I will have to say right off the best part of any gathering of women is the conversation. Today was no exception. The lighthearted happy thoughts of any infant, coupled with the gifts, demonstrations of how the gifts work, and laughter of friends made that time special. Being across the world from someone but still able to sit and chat, wish them well and share a moment is a wonderful experience. There was some issue about time zones since Isabelle is in Australia and I think 18 hours ahead of us. So we were 7am SL time and I believe Issa was somewhere around midnight. But connecting with another person, learning their personalities, likes, dislikes, knowing their character – it is so much more than a game, and can be so rewarding if taken in that respect. We ended the shower with a wonderful fireworks show put on by Peace. In attendance Isabelle, Peace, Ruby, Oura and Sammy. Thanks Oura! I’m sorry I missed the party – looks like everyone had a lot of fun! SL was not the answer today. It wasn’t the question either, actually. 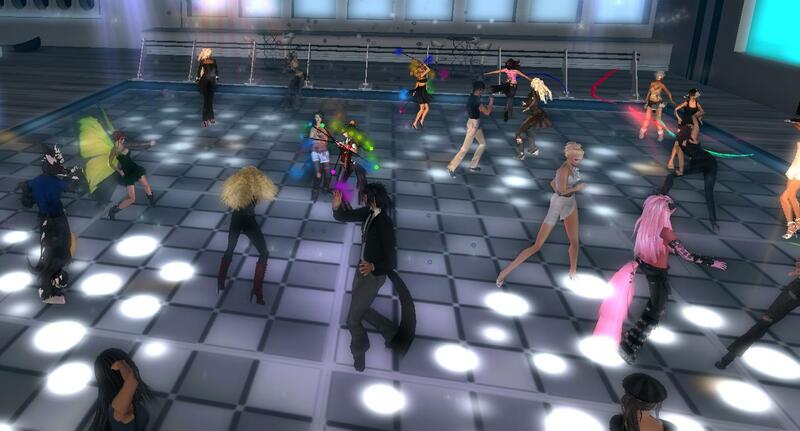 But so often, when I am stressed from RL, or bothered, or just need refuge, SL has been the answer. Today was one of those dumb days in RL. Nothing was seriously wrong. But a series of inconveniences, aggravations and setbacks occurred. And I was not able to deal with them. Some days you know you should have stayed in bed with the covers over your head. But I wasn’t smart enough to do that. So when the final stupid inconvenience happened, I lost it. Thank goodness I have wonderful friends who came over and dealt with the immediate issues. Even so, I continued to feel stressed and pressured. 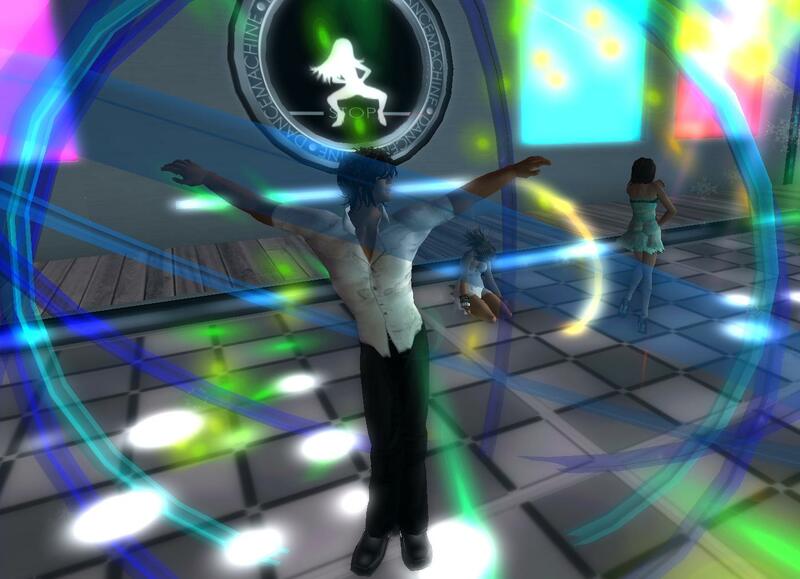 I had been in SL for a good part of the day on business. I dealt with the business issues, everything was fine, but no siren song called to me. 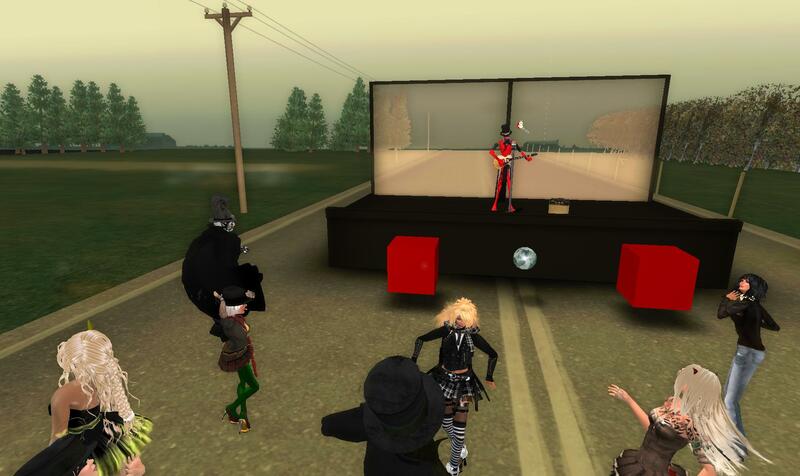 Nothing in SL or RL appealed. I thought I was going to explode. What to do???? Run. Well, it’s been years since I’ve been able to run. Blew out my knees. The best I’ve been able to do has been power-walk. But I couldn’t think of anything else that might work. There is no SL-equivalent for running yourself to exhaustion. Or if there is – I don’t know it. So I dug out my running clothes and headed for my long-neglected treadmill. It felt so darn good. I started walking. Walked faster. Faster still. Pushed it up higher and began running. Oh my yes. Obviously could not run the whole time. Even I have enough sense to not run full out after 5 years off. 🙂 But I did two miles and felt that glorious wonderful sweat and exhaustion. I feel like a human being again. Of course, let’s see how I feel tomorrow! But to run again, after all this time. What joy. So how does this relate to a blog about SL? 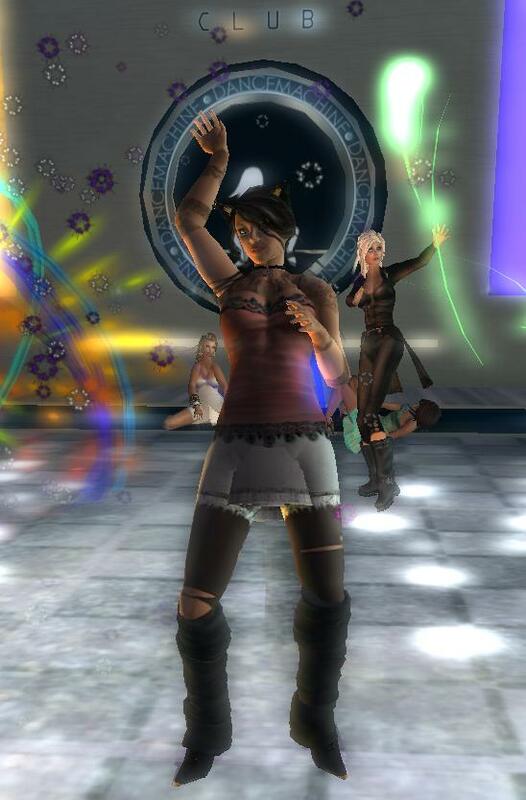 Well, in so many ways what I do in SL has a corresponding effect in RL. I blogged once about sitting in a classroom at NCI beach. (Remember those stupid trees? Speaking of which – they tore out all my gardens. Sigh. Ingrates.) Anyway, sitting there in the class for an hour, hearing the surf and the wind was nearly as therapeutic as being down the real shore. I’ve gotten in a sailboat and headed out to the open sea to soothe my soul. I’ve gone to Shengri La and ridden the horses over the hills and through the fields, finding peace. 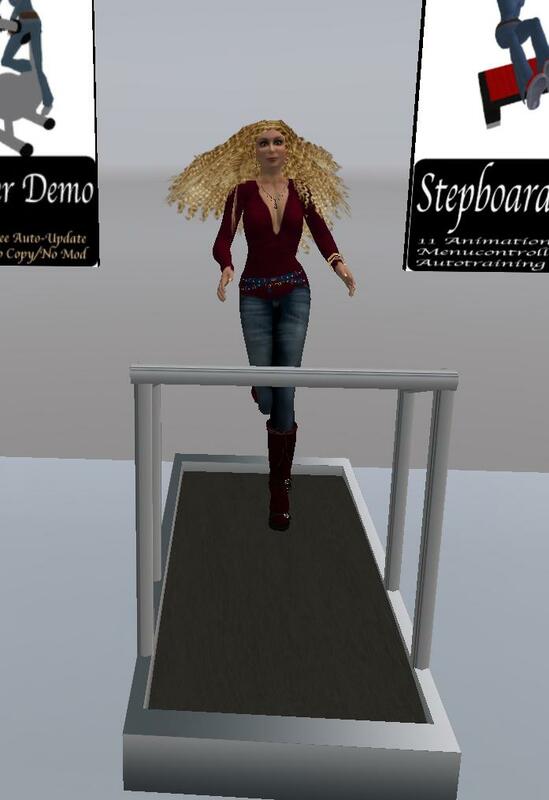 Maybe I should buy a treadmill in SL. Whenever I’m scripting, or merely IM’ing, I could use the treadmill. Perhaps it will have the same subconscious effect? Perhaps my body will be fooled into thinking it is really exercising? Yeah, I know. Crazy idea. But I think I’m going to give it a try. 🙂 What have I got to lose? (L$600) Wish me luck. I decide to leave my beach and visit NCI. A friend of mine has come up with a great idea: Skills Connect. The Skills Connect board is a place where people who have SL talents can advertise. So if you are looking for a scripter or a builder or a sculpter or an animator, go over to NCI and the Skills Connect board. You can find names and notecards. The board will tell you if that particular artisan is online or not. If you script/build/sculpt or do graphics or animations, post your name and information on the board! An easy way to find customers. An easy way to find contractors. There is also a miscellaneous board that has such things as specialists in Business-to-Business marketing. I wandered over there tonight to take a look. Before I even got to the boards, I ran into a friend I’d not seen in ages. She introduced me to her companion and we spent quite a bit of time catching up. It really was exactly what I needed. RL had been a bit deflating today – many layoffs where I work and (unrelated to the layoffs) my office was closed today and we are all moving to a different location, farther from my home and nowhere near as beautiful as where we’ve been for the last several years. Sigh. So I was a little down. But chatting with friends at the beach is the perfect mood-lifter. We talked about lucky chairs, boots, hair and shopping. 🙂 You know – the essentials of life. It was great. Turned my mood around completely. So, the Skills Connect board. I like the layout of the boards. I love the desk and chair where you can sit and do business. 🙂 Nice touch, that. My understanding is that the board is still being set up and tweaked. So check it out and get yourself on it, or offer suggestions. I think this is another good example of SL residents “doing” for themselves, making connections, getting things done. Bruce Springsteen sings that Adam raised a Cain, but Saturday night dozens (almost 70 at the busiest time) of SLers raised a cow for Heifer International. Instead of existential despair, we raised hope. One Heifer International cow in less than 90 minutes. So Dark and I headed to Wales Spring region. That is where AM Radio has his creation “The Refuge and The Expansion”. I know that you can google AM Radio and get scores of hits and learn about his work. I’ll point out that AM never sells any of his work for profit – he uses his talents here to raise money for Heifer. I’d like to take a moment and also acknowledge Alexandar Vargas, himself a talented creator. Alexandar owns the sims that host “The Refuge”. It is generosity such as this that enables the arts and creativity to flourish in SL. Without people like Alexandar, many artists would be hard-pressed to create the wonders that we all enjoy. Kudos also to Komuso Tokugawa, who donated his time and tips to Heifer International, and to Callipygian Christensen, who put the event together. SL is filled with wonderful, generous, creative people. Komuso was scheduled to play for an hour. At the end of the hour, we had raised over half a cow. So he said he would keep playing until we could raise the rest. 🙂 So he did and we did. Friends tp’d in to help the cause and hear the great music. Many of us ante’d up again to keep the good times going. Within 90 minutes we had managed to raise over 500 $US – the cost of one cow. All in all, it was a great time. EXCELLENT blues, wonderful cause. I ran into many friends there as well, which made it clear to me why they are my friends. 🙂 Also linked up with some people I’d only known casually in the past. These are the stories that the RL news services should be publicizing. Music and good deeds. SL is full of that.